This is one of the coolest-looking box sets ever. It’s designed to resemble the head of a Marshall amp, and even features a volume knob that goes all the way to 11. How appropriate that Spinal Tap’s “Big Bottom” is featured among the four-disc package’s 70 tracks. Clearly, the folks at Rhino took a tongue-in-cheek approach to this compilation, because it also includes tunes by equally (if unintentionally) hilarious acts such as Stryper, Twisted Sister, W.A.S.P., and Poison. The biggest complaint about The Heavy Metal Box is that it largely ignores the ’70s–by far the best decade for heavy metal–and focuses instead on the questionable ’80s. The only groups privileged to have more than one track included in The Heavy Metal Box are Metallica, Iron Maiden, and Judas Priest. Conspicuously absent is anything from Led Zeppelin, a band that’s generally regarded as a pioneer of the genre. Apparently, AC/DC weren’t worthy either. The boxed set earns Brownie points for including the odd song by ’70s acts that never got the attention they deserved, including Montrose, UFO, Hanoi Rocks, and Blue Oyster Cult. 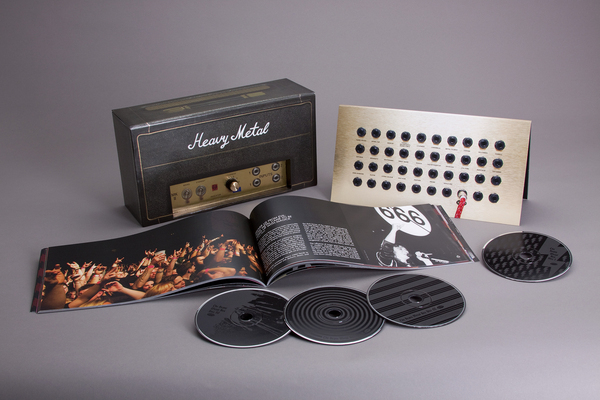 The package comes with an 80-page booklet that includes a track-by-track summary by Canadian metal expert Martin Popoff and (mostly) colour pictures of the noisemakers in all their hair-sprayed glory. On closer inspection, it seems the loudness control on The Heavy Metal Box rotates 360 degrees, so in a sense it actually goes past 11. 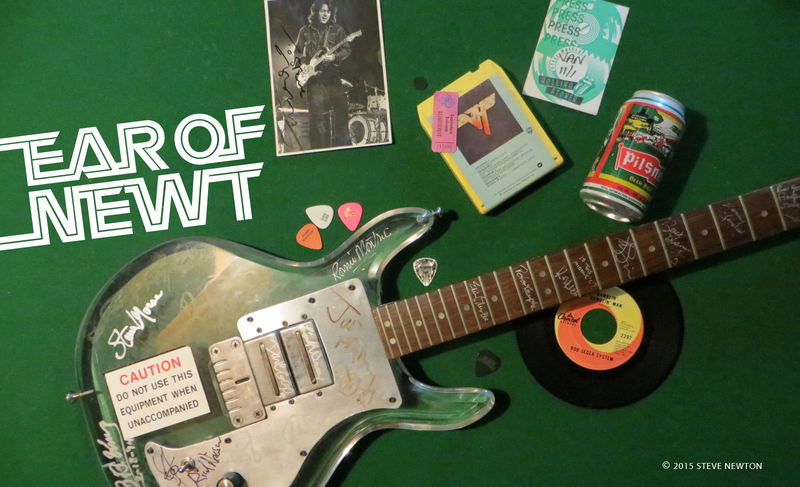 Somewhere, Nigel Tufnel is turning green with envy.